Meeting a real artist is always inspiring. Today I met book artist Alison Kurke in the ancient little town of Civita Castellana, Italy. 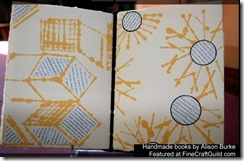 An artist: she does not want to teach the art of bookbinding, she wants to create. Fortunately, though, she is willing to talk to me today about how to bind books. She loves making handmade books, and as I’ll show you, she’s good at this. Alison is a lapsed art historian. Why lapsed? Well, she’s been too busy with both print making and book making. 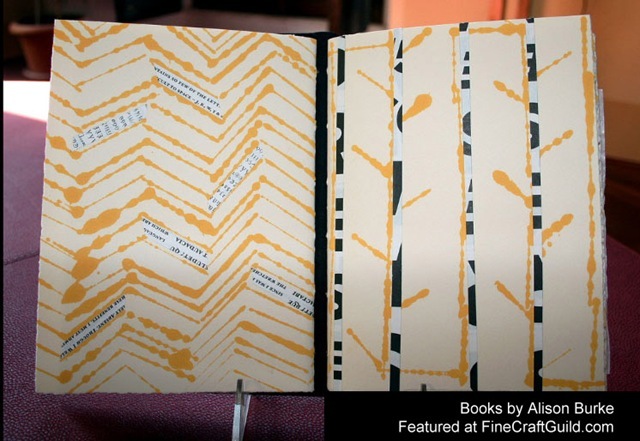 I would call Alison a book artist. 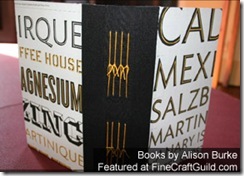 Many of you equate making books with being an artisan, but in Alison’s case this is not so. See one of her books and you’ll know why. 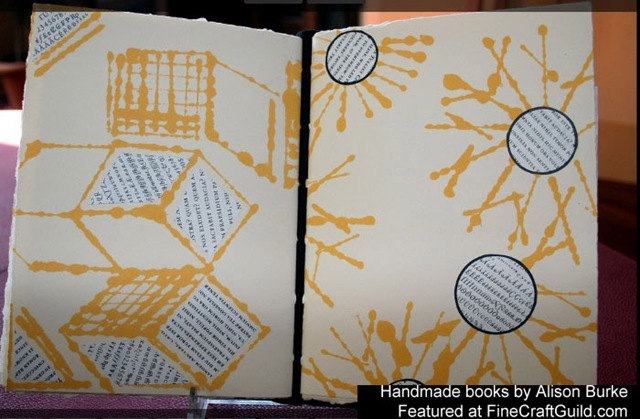 While, her books are made using traditional book binding methods, and are the kind that we ourselves are supposed to write in, they are certainly also for ‘looking at’ and ‘being with’. Lovely to have around and to own. While true art makes you think, I suppose they do that too. Albeit that this last aspect is an undertone. Take this notebook for example. The outside book edge shows the perfectly-lined-up binding: a labor of love,and perfect craftsmanship. You’ll see when you hold her art in your hands: the books are put together with painstaking detail. Now beyond this technical aspect, I love the contrasting colors she has chosen, to accentuate the fact that they are hand made, as a design detail and a statement of originality. Then, when you open the book, you know why I call these books works of art: they are! Each book contains a mini-series of original & limited edition prints in them. Sometimes she also collages paper onto the monoprints in her books. And of course, her cover imagery are complete works of collage art. Each book is telling its own story, totally unlike all others. Have a look at this one here. (I know you probably can’t come over to visit Alison in person anytime soon, so I’ll show you here). 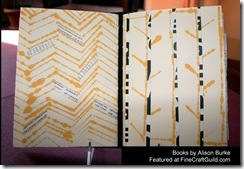 This hand-made / hand-bound / hand-printed book was one of my favorites. As one of her larger and thicker books, it has quite a few sections. Each section is bound separately and enveloped by original print artworks. I am just showing you two sets of prints with collage here. There were quite a few more in this book. As well, only the best Italian paper is used for both the fine prints and for the blank pages that we are supposed to write on. However, if I were to ever get one of these books, I would leave it blank. I would not want to mess up this work of art! I’d just smell it from time to time…. Jotting down grocery shopping lists in it seems inappropriate. 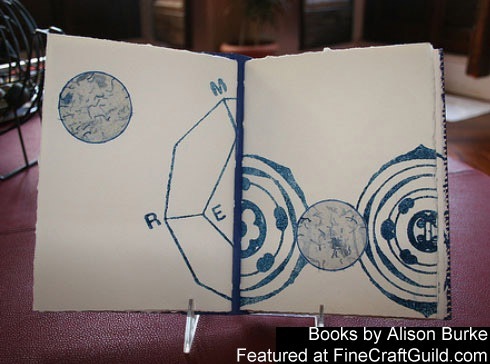 Having said that, Alison’s handmade books would make shopping much more fun. No, actually I think I would use one of these books either as my inspiration or as own personal diary, in which to place my own drawings and artsy doodles. For other people, I can see that they could use them as perfect guest books and wedding albums. 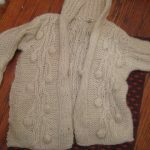 Alison’s work is for sale locally and internationally. 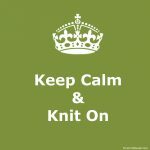 Browse through her online catalog at http://www.flickr.com/people/kurberry/ to see the hundreds of handmade art books she has made. Just send her a note if you like to purchase any. A handful of her books and her collages with vintage prints can also be found at Etsy. If you like these books as much as I do, then have a look now in her catalog, so that there’s plenty of time left to shop and ship your Christmas gifts from Italy to your home.